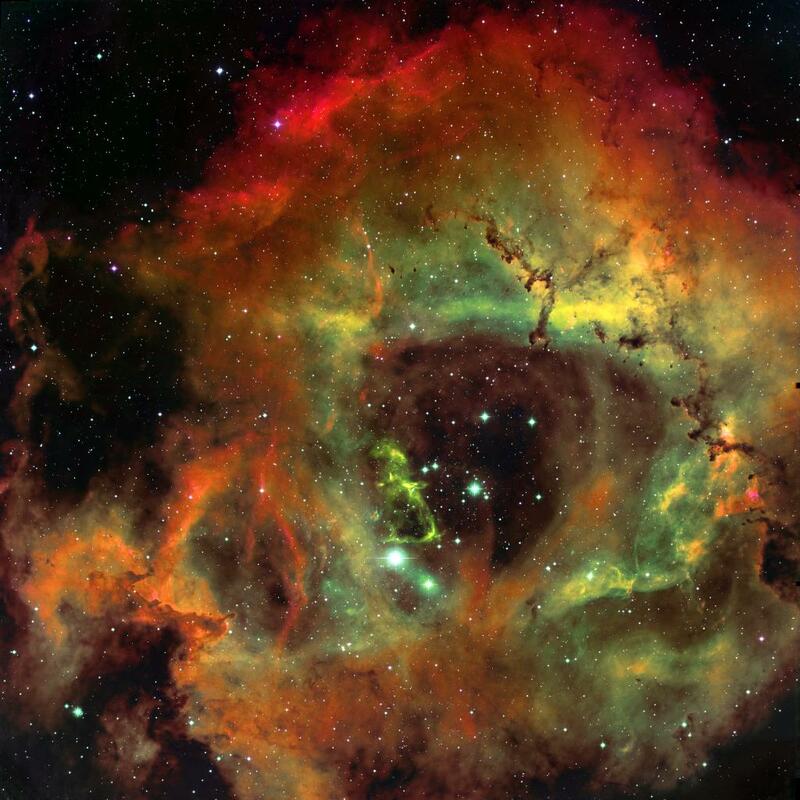 Explanation: The Rosette Nebula is a large emission nebula located 3000 light-years away. The great abundance of hydrogen gas gives NGC 2237 its red color in most photographs. The wind from the open cluster of stars known as NGC 2244 has cleared a hole in the nebula's center. The above photograph, however, was taken in the light emitted by three elements of the gas ionized by the energetic central stars. Here green light originating from oxygen and blue light originating from sulfur supplements the red from hydrogen. Filaments of dark dust lace run through the nebula's gases. 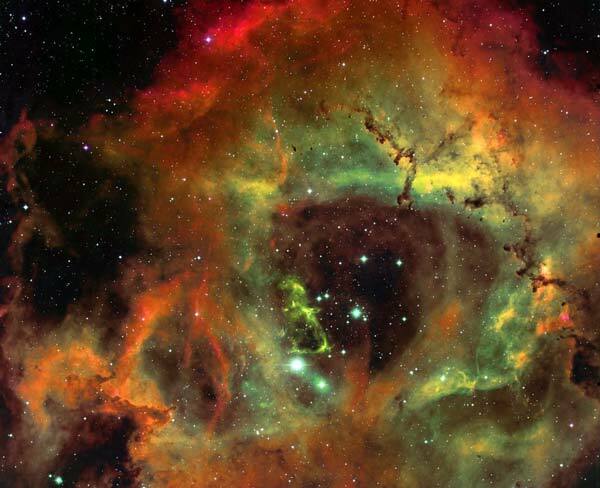 The origin of recently observed fast-moving molecular knots in the Rosette Nebula remains under investigation.